Used to be if you lived in California and let your lawn dry out and get brown, you could have been looking at a fine. California governor Jerry Brown is now ok with brown…lawns that is. 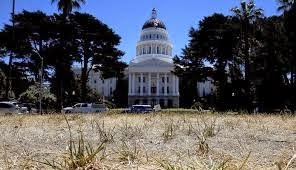 California has been dealing with dreadful drought conditions for months and the governor recently signed a bill that allows residents to let those lawns go brown. The desperate drought conditions have called for desperate measures. Back in January, Governor Brown called for a 20% statewide reduction in water usage. That meant a lot of lawn sprinkler systems were going to be shut off. Unfortunately for the Golden State, we are now in August and not much has changed. One local TV station reports that a survey conducted last month shows the state has failed to make good on the goal of a 20% reduction. And we are in the heart of summer, when grass is certainly more susceptible to drying out if the sprinklers are turned off. The bill signed by the governor is now in effect. 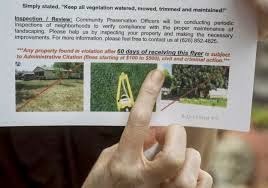 It prohibits cities, counties and homeowner associations from delivering fines for failure to water lawns. These are obviously tough times in California. Lawns will obviously suffer, sacrificed for the greater good in a state desperately trying to conserve water. If you are fortunate enough to have no restrictions on your water usage, this still serves as a reminder of the importance of water conservation. This is another reason a lawn sprinkler system can be so effective for your lawn and for your bottom line. The timer and sprinkler system allow you to set the time your lawn gets water and for how long. Remember, over-watering your lawn is not healthy for your lawn. It can lead to breeding grounds for lawn disease. Plus, over-watering means you are wasting water. This means a higher water bill. Smart watering pays off your you and your lawn.